Historian Henry Reynolds has found himself being asked these questions by many people, over many years, in all parts of Australia. 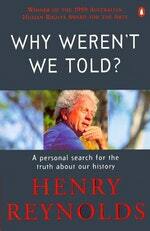 The acclaimed Why Weren't We Told? 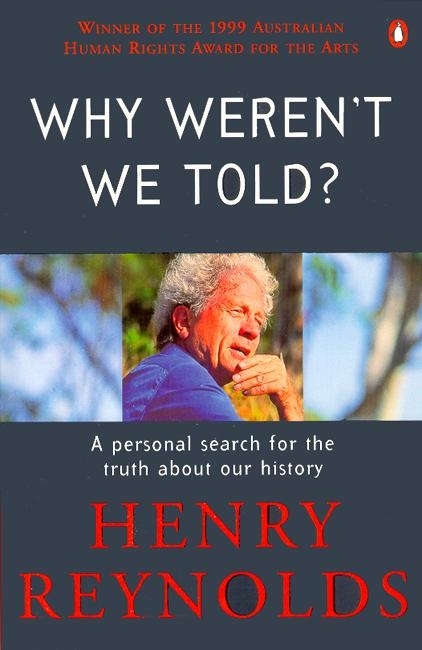 is a frank account of his personal journal towards the realisation that he, like generations of Australians, grew up with a distorted and idealised version of the past. From the author's unforgettable encounter in a North Queensland jail with injustice towards Aboriginal children, to his friendship with Eddi Mabo, to his shattering of the myths about our 'peaceful' history, this bestselling book will shock, move and intrigue. Why Weren't We Told? is crucial reading on the most important debate in Australia as we enter the twenty-first century. Love Why Weren't We Told?? Subscribe to Read More to find out about similar books.